Based on the Writings of the Baha’i Faith I have been advocating the need for humanity and morality in our economic activities and also its recognition in our economic system. So it is natural from reading his book in the university who is considered to be about the father economics, had a different impression of him and was surprised to found out that the first book he wrote was “The Theory of Moral Sentiments (1759)” which was Witten before his famous book “Wealth of Nation”, which is considered to be one of the most important books in economic history. I always thought moral values would have not at all be part of the philosophy of his life so you can see my amazement when I read his quotes and compared them with the Baha’i Writings. We studied his book “Wealth of Nation” which was about the science of making wealth. I thought he was all about making money. His ideas have been the guidelines for so many economists of his generation and the economists that came after him. His words were the authority on this subject, and his influence is still felt and his assumptions are still the foundation of economics. My studies of his theories never gave me the chance to understand the human side of him, so I did a little digging to find out more about him, his background and the era was living. 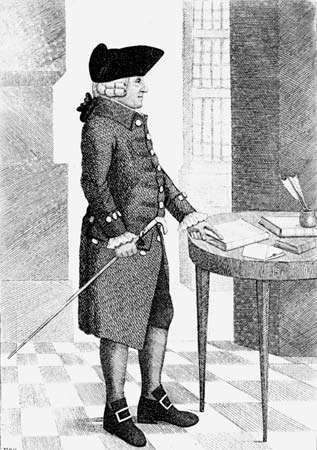 I figured out a few factors that played an important role, one was when Adam Smith was formulating his theories the industrial revolution had just started. This fact is crucial in understanding where he was coming from and what was the economic condition that he was living in. The advent mass production that came right after the invention of the steam engine, shifted the economy form centuries of agriculture economy to a new industrial economy. At that time everyone was trying to make sense of the changes and find a way of directing these changes for the benefit of the society and their own benefit. The other important factor was the economic background at that time where the feudal system of lords and the royal families had been established for centuries and was so strong that not only it controlled the livelihood of the farmers and the workers, but also the church was influenced too. It was imperative not to upset the status co. Morality was not to be mentioned in any form that would open the door for the church to put its influence on the system and things would not have changed for ordinary people who had been under the control of the landlords. These factors tell me that his moral views had to be put aside. One of his most significant assumptions besides believing self-interest is the only motivator of the economy and that everyone wants to maximize his satisfaction by consuming goods was the concept of the “Invisible Hand” which was as he described will magically solve the problems and balances the supply and demand and also prices in an economy. This powerful and problem solver the “invisible hand” with its magic touch could represent a higher power with more power than man and government, and jokingly I thought to myself that it sounds like the Hand of God. The other factor that we have to remember is that at this time of history in Europe there was the fascination and intoxication with science. Science had become like a new religion and with Darwin with his scientific methods and others in other fields, wanting to prove everything with science so no wonder that economics was called a science. There were so many mathematical formulas devised in to make it more part of mathematics than social science. His quotations are an indication that he strongly believed in morality and I think it is important to highlight his moral sentiments in the light of Baha’i Writings. I am so grateful that I discovered the moral side of Adam Smith and how I wish more economists would talk about this and also universities would make it an essential part of studies to learn the relationship between morality and economics. If the economic system is to serve humanity, it should reflect the human, moral and spiritual values of the people that it has been created to serve.